Your Group Travel requirement made easy with our Luxury Bus/Coach rental services that can cater any number of Passenger capacity in Srilanka. 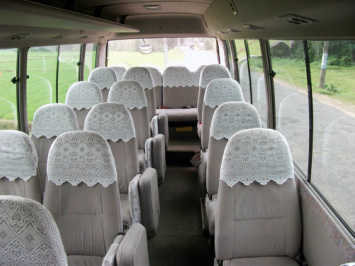 Past few years our coach rental hired by Travel Agents in Europe and Asian Countries , Large Family Groups . We Provide our Coach services for Travel around Srilanka , Day Tours , Airport Transfers , Event Guest Transportation . 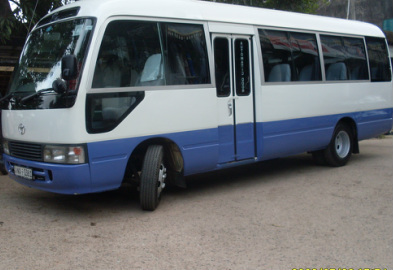 All our Modern Coaches, Mini Coaches and minibuses are equipped with all the facilities for a comfortable and safe journey . Buses driven by well experienced Drivers who served many years in Sri lanka Tourist Transportation . For the group travel requirements , we arrange a professional guides who can speak English , French , German , Chinese , Arab etc .